Price includes: 12l or 15l cylinder, weights, English speaking guide, transfer to the boat/dive site. 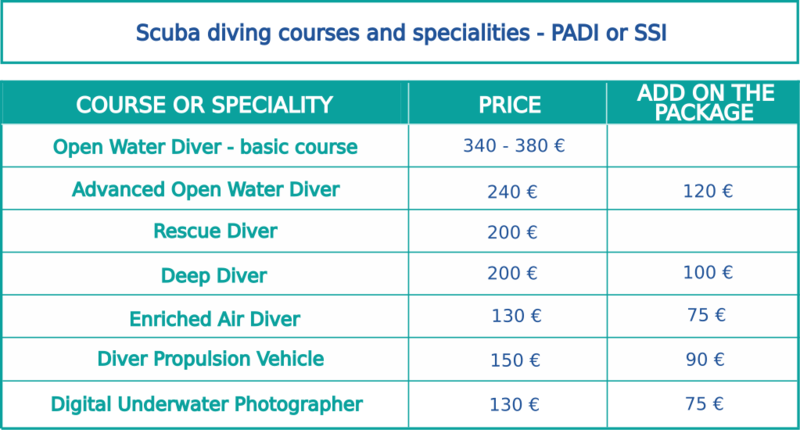 The diving center is working from 29 of June to 31st of August. Additional info: full price list. 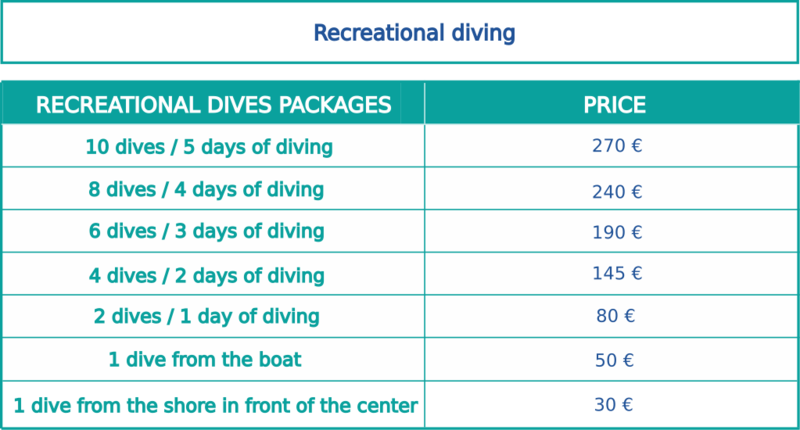 it is also possible to accomplish another diving specialties. * price for 1 dive.